The Mansfield Sr High and Jr High Cheerleaders are pepped-up and ready for their first Cheer Competition of the season. The girls will be traveling to Van Buren High School this Saturday, November 10th. The Jr High girls are set to perform first at 9:54 am with the Sr High girls to follow at 10:42 am. Cheer Coaches, Ashley Wilson and Allie Dake, are excited about Saturdays Competition because the girls will finally get a chance to show off all of the hard work they have been putting into this season so far. Saturday will be split into two different competition categories. Game Day Competition, which is what the Tigers are competing in, and Performance Division. Each category is divided into 1-3A schools and 4-6A schools. Along with Mansfield, there should be about 22 other schools competing on Saturday as well. The Jr High and Sr High squads will each be given a chance to perform a 3-minute dance routine. 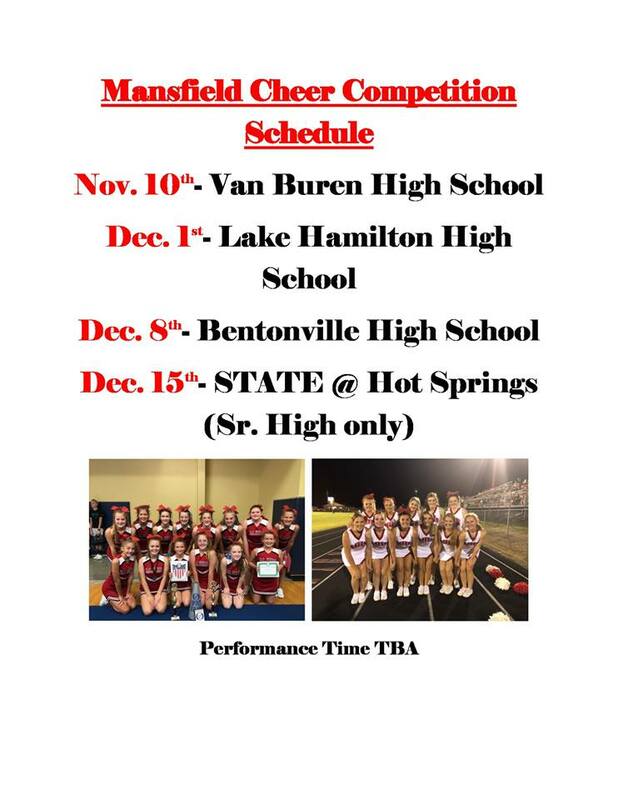 This competition is just a taste of what’s to come for these girls when they face their biggest “pyramid” in December. Previous Previous post: Chocolate or Spice? Everything’s Nice!